29 August 2006: The United States is the only major industrialized country in the world without a national health program. The US health care system is market-based and relies primarily on private health insurers called Health Maintenance Organizations, or HMOs. HMOs receive a mandate from the federal government to control a network of doctors, hospitals, and medical facilities in a given market. Employers and individuals pay an HMO a fee, or insurance premium, to gain access to the HMO’s network of health care providers. Employers in the US are not obligated to provide health insurance for their workers, and many do not because of rising costs. Annual health care spending in the US has been increasing two to five times the rate of inflation since 2000, according to the National Coalition on Health Care, a nonpartisan alliance working to improve health care in the US. Each year for the past six years, employers and individuals, on average, have experienced double digit increases in their health insurance premiums. Such increases make it difficult for individuals to pay their share of the cost of employer-sponsored coverage or to buy health insurance themselves. Between 2000 and 2005, 7.2 million Americans lost their health coverage according to the US Census Bureau. Americans typically lose health coverage when they lose their jobs, or get a job with an employer that does not offer coverage. At the end of 2005, the number of Americans without health insurance reached 47 million. Increases in health care costs and health insurance premiums are a major national economic problem. They impede economic growth, job creation, and individual financial security. The increases make it difficult for businesses to hire new workers, raise wages, or invest in research and equipment. High costs force families to cut back on household expenses such as food and utilities in order to pay medical bills. Rapidly escalating costs also produce serious budgetary problems in the public sector as cities and other governments find it difficult to fund pension and health benefits for their current employees and retirees. In 1993, President Bill Clinton advocated a ‘single-payer’ health care system for the US, in which the federal government financed health care. Although Clinton’s proposal kept the delivery of health care in mostly private control, it was branded “socialist” by a powerful group of interests led by the insurance industry and failed to gain popular or political support. The failure of the Clinton plan came as the US was entering a period of solid economic performance. As the stock market boomed and jobs were being created at unprecedented levels, concerns about health care issues declined. The catastrophe of September 11 further shifted the nation’s focus, and health care is barely in the public policy viewfinder. With a national focus on more pressing matters, health care receives cursory treatment from policymakers and the media. In their penchant for easy explanations, policymakers and the media are quick to vilify incompetent HMOs, ruthless drug companies, greedy doctors, heartless employers, and, of course, closet socialists in the government for the rising costs of health care and the rising number of uninsured in America. In fact, health care in America is defined by its constrained, counterintuitive character and its disconnections. Supply creates demand: In the rest of the American business world, a growth in supply generally means a drop in unit costs. In the health care world, as supply grows, total spending grows. This is perhaps seen most vividly in ambulatory surgery and diagnostic imaging. Need and demand are different. In health care, public demand for services, in most cases, exceeds need. Most Americans will see a physician when in doubt, and visit a hospital emergency room when a physician is not available. One person’s health expense is another’s income. Therefore, to reduce costs, you have to reduce someone’s income. Nearly all Americans say they are in favor of cost containment, but few support income reduction, especially for hard-working medical personnel. The American health care world is really two worlds. In larger metro areas, there are multiple HMOs and several hospitals with excess capacity. With multiple competing service providers comes the ability to negotiate fees and service levels - at least in theory. In smaller communities, there is not enough competition or capacity to leave anyone out. If you can’t leave anyone out, then you really can’t negotiate. In other words, health care is not a market economy in most communities. Health care is an economic engine. In many smaller communities, health care is the major economic engine  being both the largest employer and largest net exporter. Moreover, health care employs both the nation’s most-educated and least-educated workers, an attractive proposition for mayors and other local politicians trying to create jobs for all demographic groups. In health care, the person ordering the service is different from the person receiving the service  and, in the case of employer-sponsored insurance plans, both are different from the person who pays for the service. This is not an exhaustive list. The point is that health care is different than anything else in the American economy. As a nation, the US spends more on health care than any other country in the world. Yet, the US doesn’t have health care systems. It has disconnections and gaps. Technology. Americans are enamored with computers and machines. As Americans can do more technologically, they will  even if it makes no difference in terms of outcome, and more important, even if it reduces a patient’s quality of life. Demographics. Americans, psychologists report, are enamored with youth and youth culture. As they age, they want to be fixed. They remember how they felt when they were younger, and want to be made to feel that way again. Supply. As mentioned, supply creates demand, not the other way around, and this drives costs. Shifts in power. In America, the consumer (i.e., patient) is always right. Consumer-protection legislation and regulations have reduced HMO’s ability to affect costs. At the same time, many hospitals that failed to make a profit have closed  consolidating power in the survivors. Flawed management. The surviving hospitals are in a medical arms race  all racing to be the last hospital  because the last hospital will be the surviving hospital. Unlike much of the rest of corporate America, hospitals are fighting, not embracing, disruptive innovation. Failed governance. Regional boards that were created in the 1970s and 1980s to facilitate community evaluation, discussion, and decision-making regarding health care have become passive observers, failing to fulfill their duties and responsibilities to their organizations’ purposes and their communities’ needs. Most important, there is nothing in the current environment that has the power to change any of these relationships. 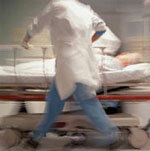 In fact, health care problems in the US can be expected to worsen, at least in the short term. It is unlikely that Americans are going to  nor do they want to  impact the advance of technology. Similarly, they aren’t going to  even though they want to  affect the demographics. If Americans are fortunate, they will continue to age. Collaboration. The idea is for health care providers to work closely together in order to avoid duplication of services at the community level. It is important to ensure that people have what they need, but not so much that they pay for it twice. 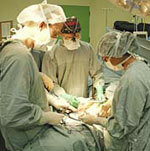 For example, which hospital in a city will give up the lucrative cardiac surgery? A mechanism has to be devised to sort these issues out. Evidence-based medicine. Do only what works -- in other words, what makes a real difference in quality and outcome, not just empty activity. This, of course, requires that providers first know what does work. Centers of excellence. Most American industries serve a particular market niche. The health care industry, by contrast, tries to be all things to all people in each individual community when it comes to specialized health care services. Centers of excellence are world-class regional specialized care centers. The idea is to extend collaboration from the community level to the regional level. This of course requires vision, statesmanship, and leadership, as well as pre-existing collaboration at the community level. Systems-based solutions. Generally, health care delivery in the US is designed to serve the providers’ convenience, not the patients’ needs. Not all patient needs occur during normal business hours, and hospital emergency rooms are often viewed as safety nets for convenience’s sake. Advocates of systems-based solutions call for alternatives, such as after-hour call centers, to achieve 24/7 care that is high-quality and cost-efficient. Again, there will be winners and losers with such changes. And, again, the question becomes how does one reward or punish? Advocates generally stress that the above principals must be viewed holistically because any one particular change would not rock the health care world. They all really need to be done together  something that has not been accomplished anywhere in America. They haven’t been accomplished because the reality is that there is nothing built into the short-term environment to change anything in America regarding health care. Obviously, if Americans do nothing, they will get more of the same. In some cases, this is not bad. In depressed, single-hospital communities, the status quo brings money into the community, at highly leveraged rates  and it beats raising taxes. In most other instances, it is not good. In most communities, health care delivery centers on duplication of services, creation of excess capacity, and competition for marginal market share  none of which is beneficial to the consumer. In essence, what is happening in America is that the cost of health care is becoming an individual responsibility, like entertainment or travel or any other consumer expenditure on which people decide (or not) to spend their money. So far, health care insurers and providers have managed to keep the cost curve sullen, but not rebellious. This is, perhaps, logical capitalist economic theory. It similarly -- and clearly  is bad politics. When a vital national interest such as the health care market cannot regulate itself for the benefit of consumers and the country as a whole, can government control be far behind? A new international survey of patients indicates that despite the amount of money the United States spends on health care, the people who use medical services are less satisfied than patients in other countries. The United States spends more than any other country on health care, and both industry leaders and patients often say we Americans have the best health care system in the world. But despite that, other Americans - including many doctors - question a system that has produced an infant mortality rate about the same as Poland's, or life expectancy no better than Cuba's, but at a much higher cost per person. "What is disturbing about these findings is that while the US ranks first on health care spending in the world, we are often last in measures of quality of care. Higher spending doesn't mean that we receive more or better care; we simply pay more," says Karen Davis. She heads the Commonwealth Fund, a foundation that supports research on health care. In a survey of patients in the United States and other wealthy democracies the Americans scored their system lowest overall. They gave high marks to American medicine for preventive care, but low marks for safety, access to care, and equity of care. "These shortfalls are a result of our fragmented system of care in the US, a system that is weak on primary care," said Davis. "In other countries they invest more in primary care and less in specialist care, perhaps gaining more value per dollar spent." In some areas, the United States does very well. For example, almost all women (85 per cent) now get mammograms to screen for breast cancer. In other areas, though, the picture is bleaker. Compared with other countries, the American patients said they were more likely to get the wrong medicine, or late or incorrect lab results. The survey found that about half of all Americans didn't see a doctor or take medicine because of the cost. Commenting on the report, Professor Donald Berwick of the Harvard University School of Public Health said the six-nation comparison highlighted shortcomings in the way Americans get their health care. "The fundamental conclusion from this report is that the US is far from the best-performing health care system in the world, even though it's by far the most expensive," he said. "Except in preventive services, we lag significantly behind these other nations studied, and especially for people of low income and uninsured. We have the largest gap in care for the uninsured." Andrew Bindman of the University of California - San Francisco says one fault in the US system is the tremendous resources that have gone into expensive, high-tech medicine have sometimes come at the expense of primary care, the regular doctor who first sees a patient. "We're seeing, for example, a decline in the numbers of individuals from US medical schools, for example, going into primary care fields. We're seeing an erosion of the primary care practice and infrastructure that I think is contributing to some of the feelings of fragmentation that are also reinforced system-wide by the challenges people face with regard to health insurance."